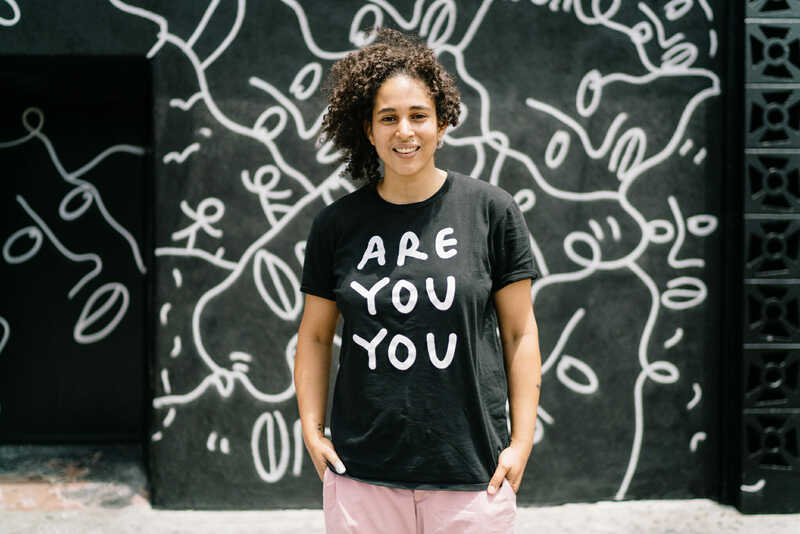 Shantell Martin is a British visual artist best known for her stream-of-consciousness drawings and light projections. Shantell draws. She draws on anything, everything – aeroplanes, cars, walls, shoes, clothes. 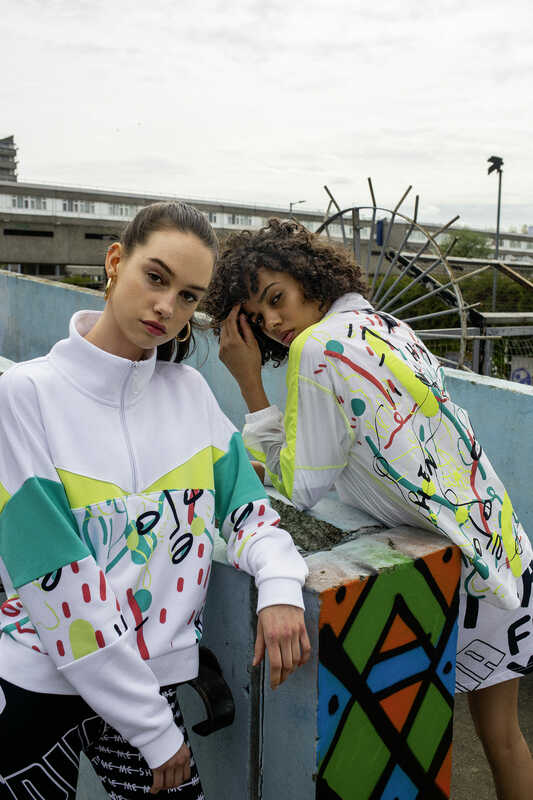 Shantell’s unique style and approach attracted attention of Puma and last year she launched her first multi-collection collaboration with the label. The latest installment of this streetwear collective launches this Saturday. Born in Thamesmead UK, Shantell she studied at London’s infamous Central St Martin’s before moving to Tokyo and working for 6-years as a successful VJ (visual jockey). She now lives in Jersey City, New Jersey with her girlfriend and their dog, Blanche. I really love the energy here. It’s definitely not the easiest city to live in and work in as an artist, but that’s also what drives me. I spent years in Tokyo and had a really successful VJ (visual jockey) career there, but when I got to New York… that wasn’t an option. That culture doesn’t exist in New York so it really shook up my whole identity and my work. I had to reestablish myself… and find my next path as not only a person but as an artist working in a completely different medium. I wouldn’t say it’s been grounding but I can say that the struggle has given me a deeper appreciation for my work and for the stability it has created in my life. I can go anywhere and draw and I’m truly lucky to be able to say that. What are your tips for the perfect weekend in NYC? Pizza at Saraghina in Bed Stuy, a walk along the High Line. A museum if the lines aren’t too long, dinner Lilia in Williamsburg, and then a good night’s rest. How does NY compare to London? London has more of a pub culture and that’s really social in a different way than what happens here. There’s maybe also more of a separation between work and life in London that’s probably healthier. What other exciting projects have you got in the pipeline? 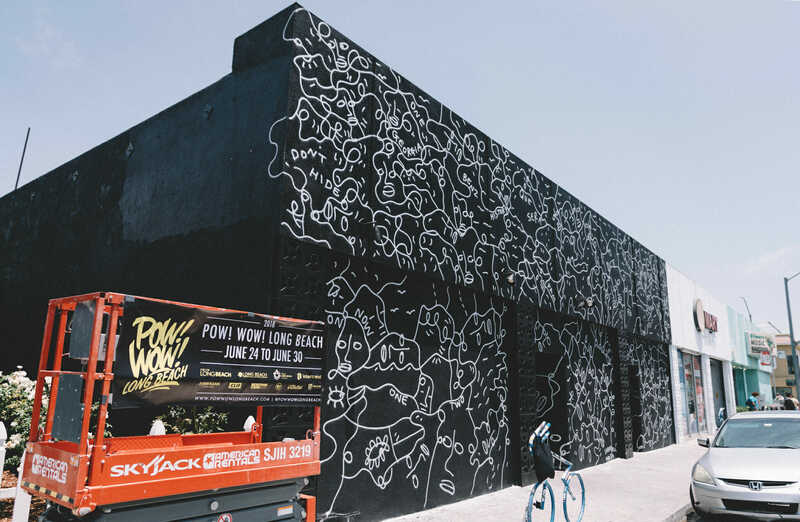 I have just finished a huge mural in Long Beach, CA at an iconic music venue which was really great. I also have a show coming up at 92Y, New York which I’m excited about because it incorporates more than just my work but also performance, dance and talks. Seeing people who work harder than me, more compassionate than me, more patient than me, more ambitious than me… people who just don’t give up. Life is the constant search for freedom. Happiness is peace. I’ve not found it yet. The wave. Life is a wave and when that wave is going up, you ride it as high as it can go and then when it’s down, you lean into that and rest and wait for the next wave. Be yourself. Resist the pressure. Follow Shantell. 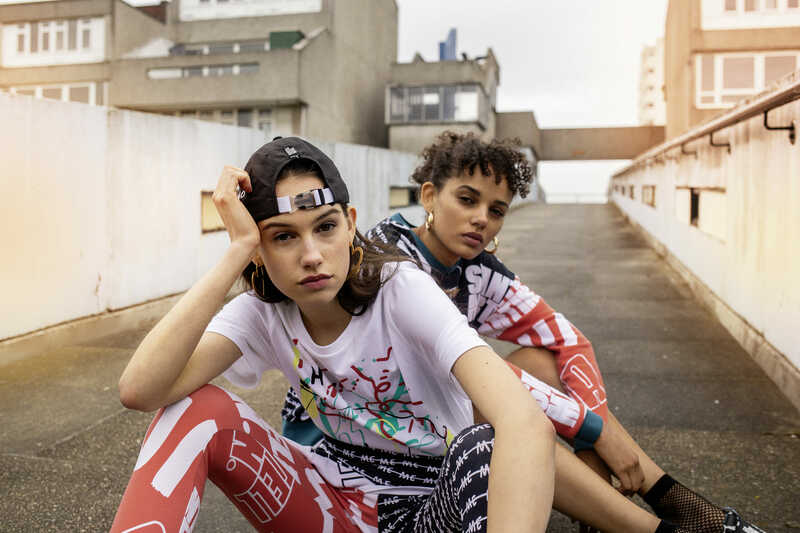 And shop the collection this Saturday at Puma.